Phew… boy oh boy. I have been on a crazy physical and emotional rollercoaster lately, and I’m pretty sure I can chalk it up to getting older and being female. Ugh. I’m sure some of you know exactly what I’m talking about! Yeah, I think it’s that time. I’m 47 and the average age is 51, so it looks like I’m right on schedule. This is one of those times I wish I could talk to my mom and find out more about her health issues. Instead I’m reading up on the subject and learning a lot on my own about this somewhat intangible thing called peri-menopause. This could be the base of a lot of my recent ‘mystery symptoms’! The thing that tipped me off was I recently started getting morning sickness… and I’m definitely not pregnant. Who knew this can be a symptom?!? I sure didn’t, and if it’s anything like the morning sickness I had while pregnant 26 years ago, I will be miserable every morning till it’s over. This along with many other fun things like hot flashes are my new reality. As you know, I need to find a silver lining in everything, or else my depression can take hold and pull me to never never land. So… I’m excited that this may be the cause of other awful symptoms… and it all could be going away soon!! I just have to get over the hump. 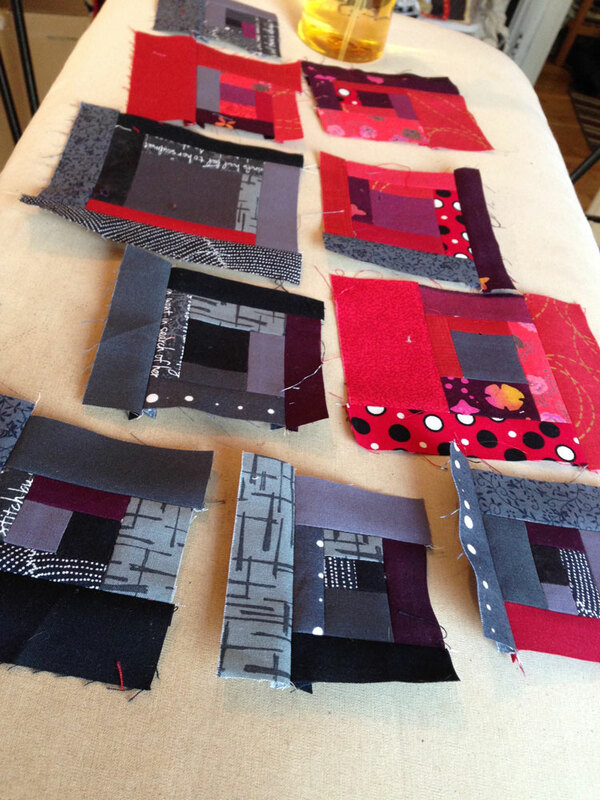 To do that, I’m immersing myself in quilting. 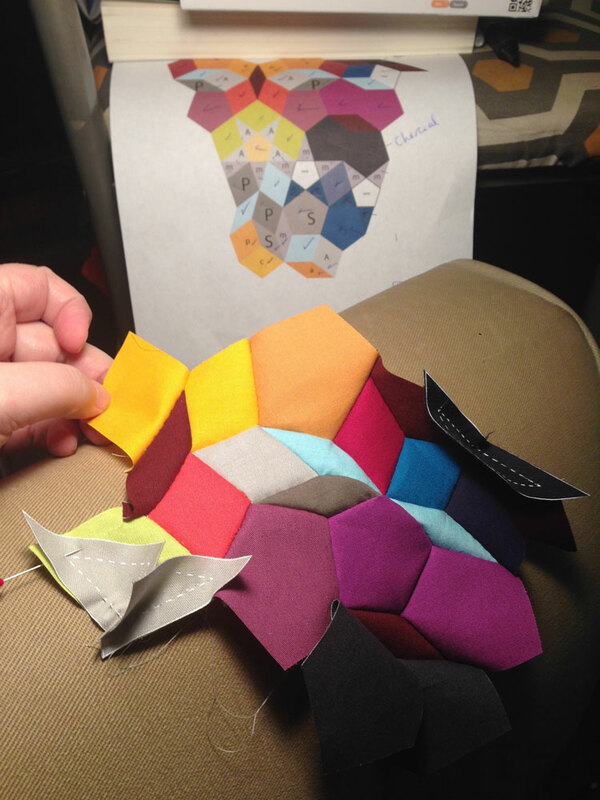 I brought my Juki in for a cleaning and tune-up and since I’m now without a machine, I started another hexie project! 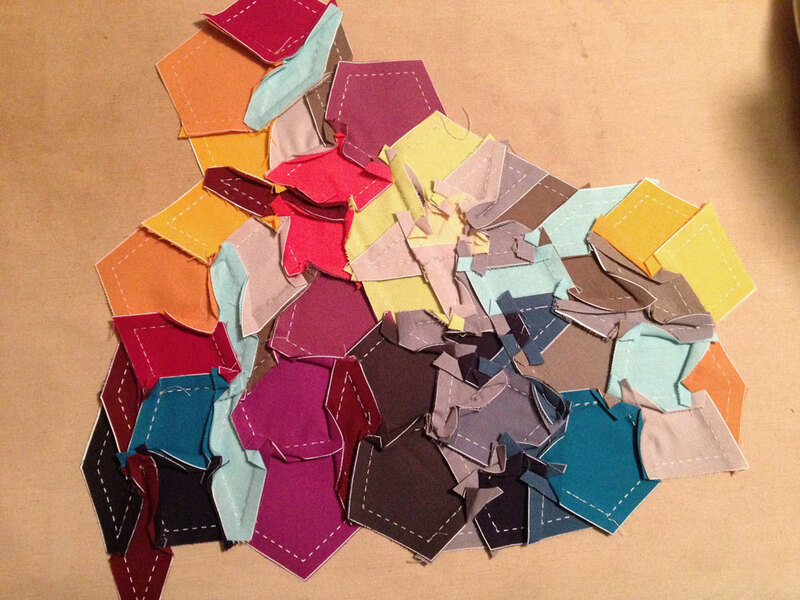 Hexies always cheer me up – they are so freaking cute! Pretty cute, right? 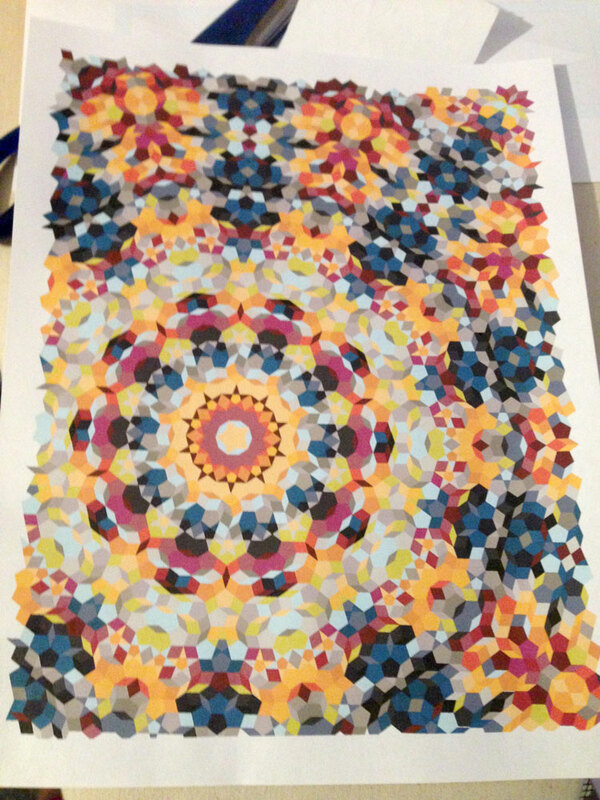 I like it because I’m using bright, big patterned fabrics. 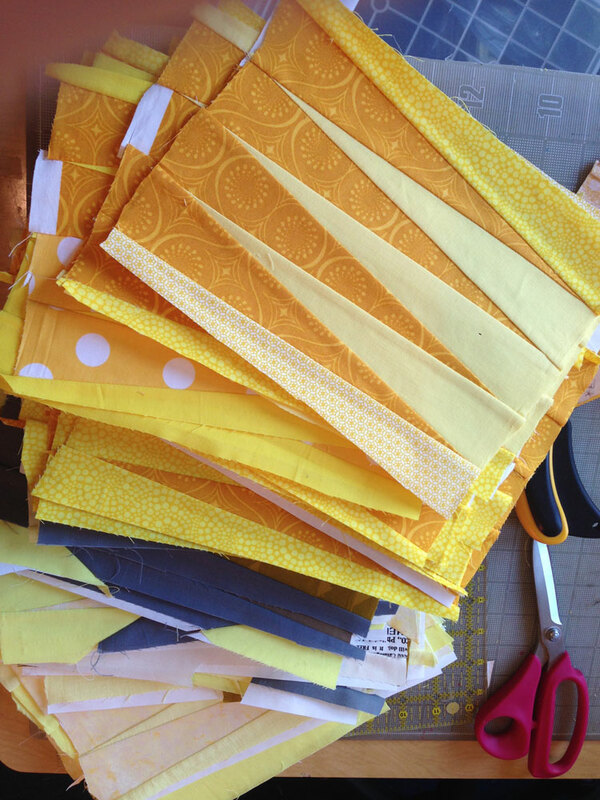 Very different than the usual monochromatic patterned fabrics I usually choose. 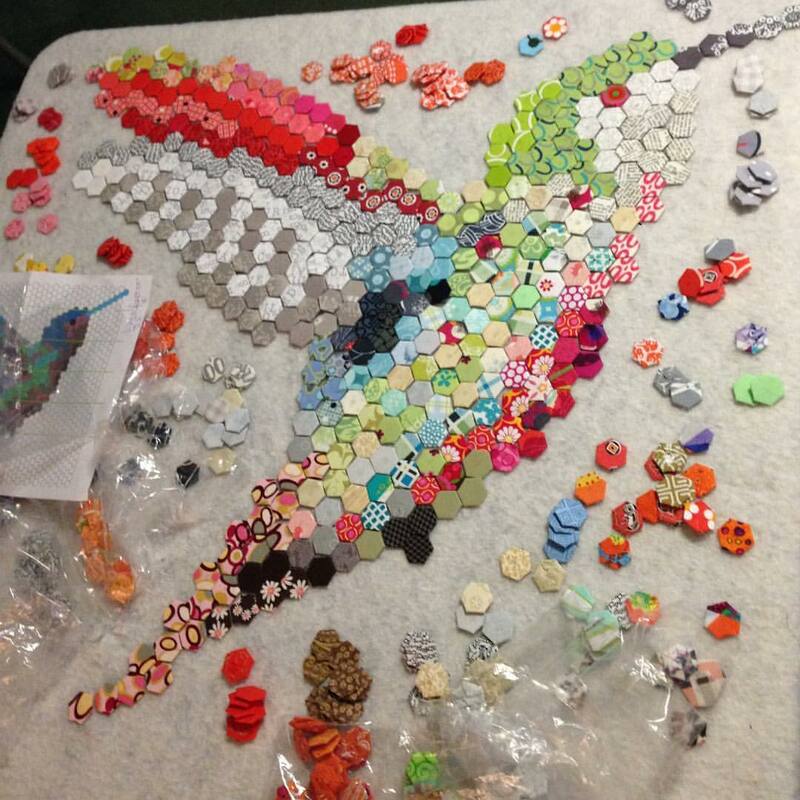 This is going to be fun to sew! I’m going to keep track of my time on this too. 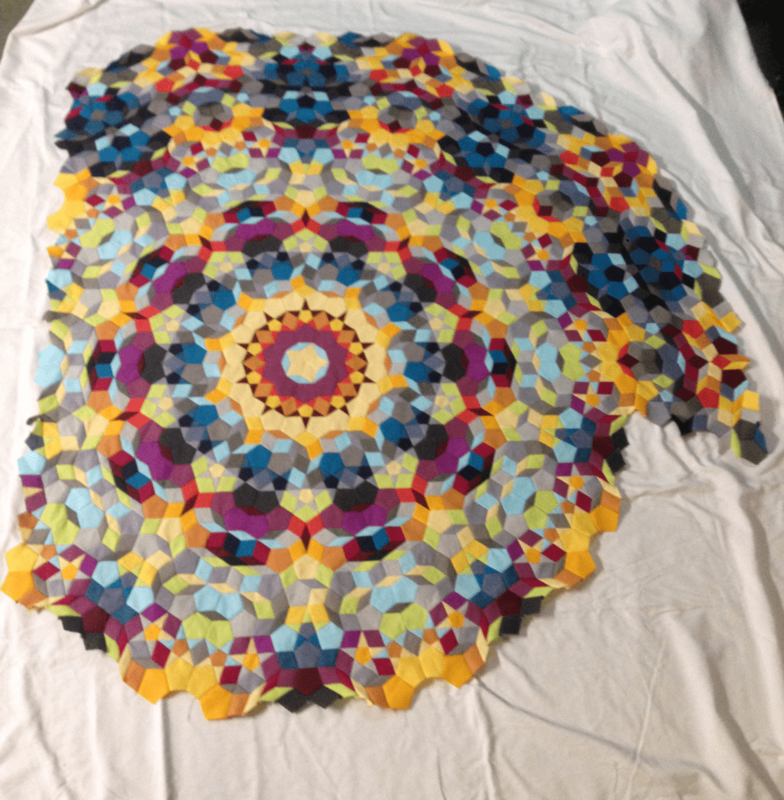 It was very interesting to see my time spent on my last quilt, and that helps give me confidence to value my work more accurately. 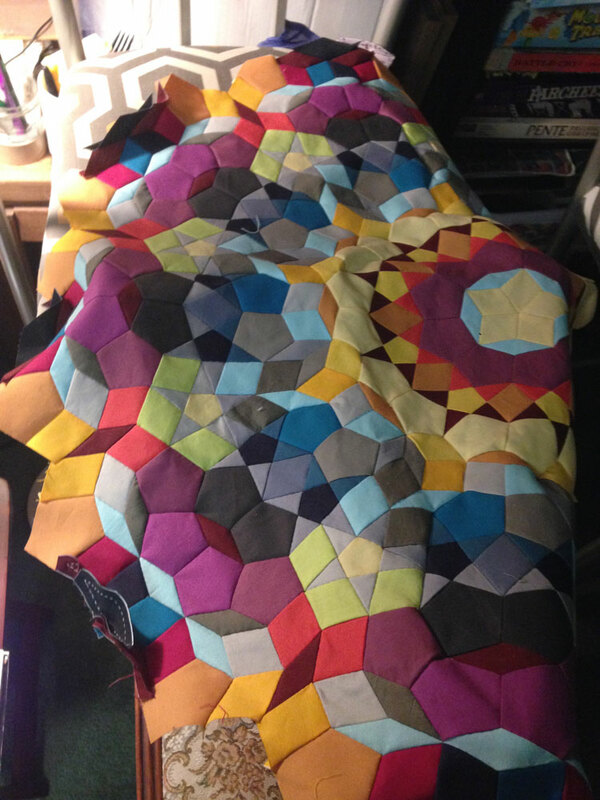 I’m really happy with how this quilt turned out, but – I really enjoyed the process of making it more than any other quilt I’ve made so far. 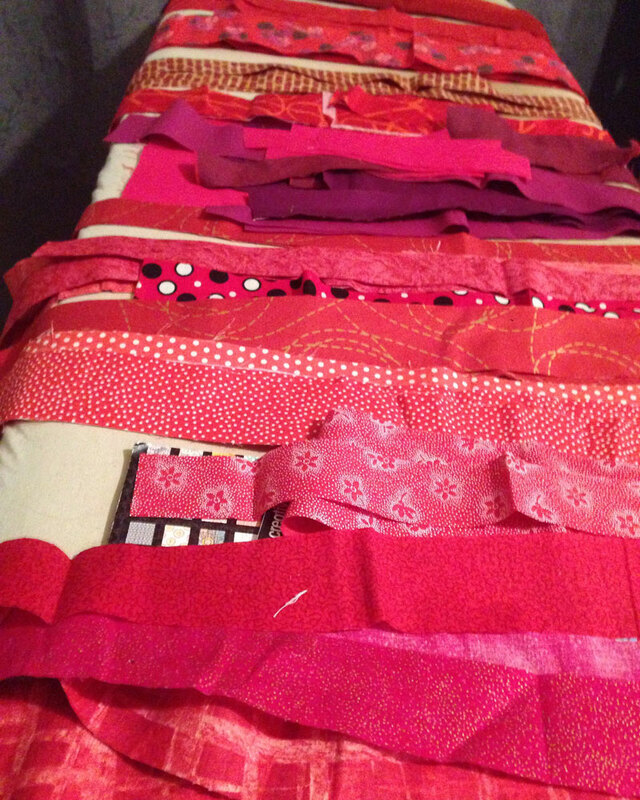 Now that I’ve made two Chakra quilts, I think I’m going to follow through and do all seven. 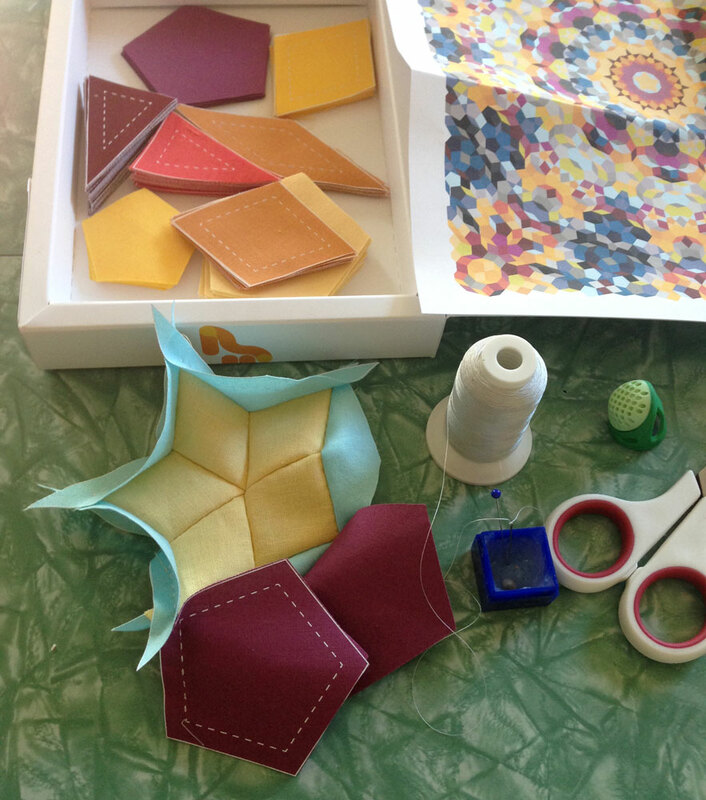 It will be a fun design challenge, and if I use the process of quilting for healing – it can only be good! The sun is out today here in Portland, and it is beautiful! My sewing machine is currently in front of a patio door looking into the backyard and it is very soothing and motivating to sew. 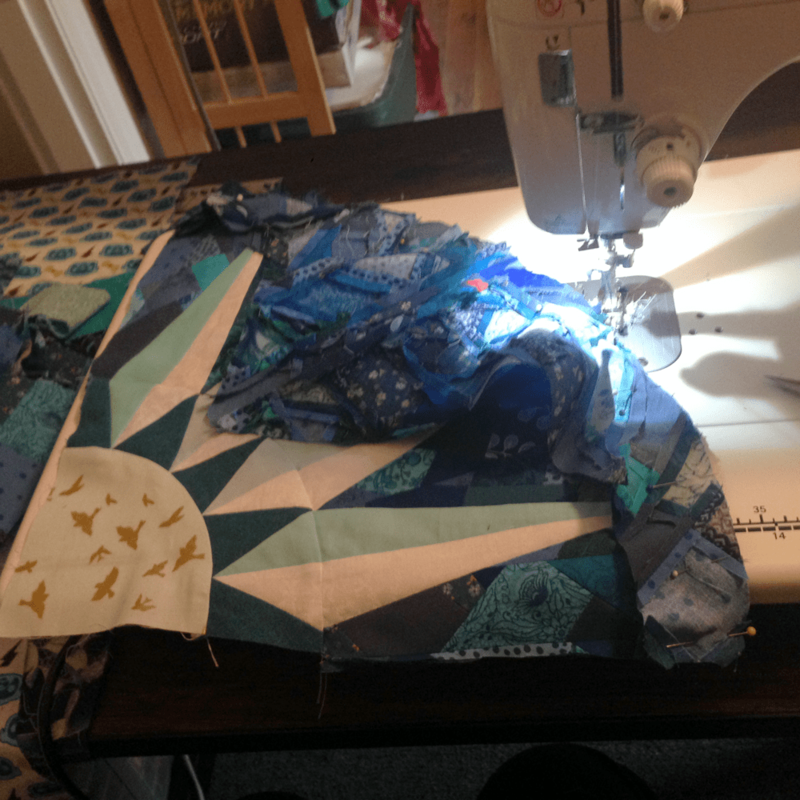 I’ve been a little obsessive with this new quilt, and sewing every free minute I have. 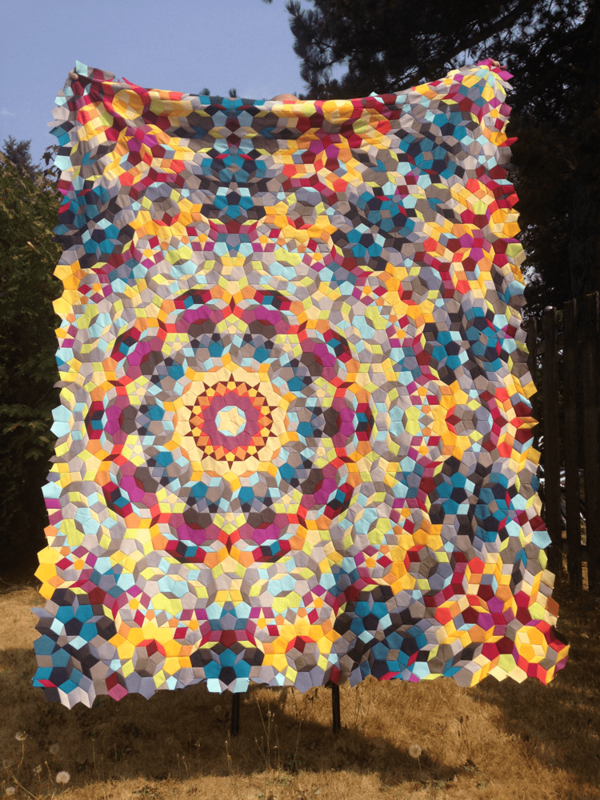 Recently, a quilter I recently started following- Cheryl Arkison, wrote a wonderful blog post on why she quilts. 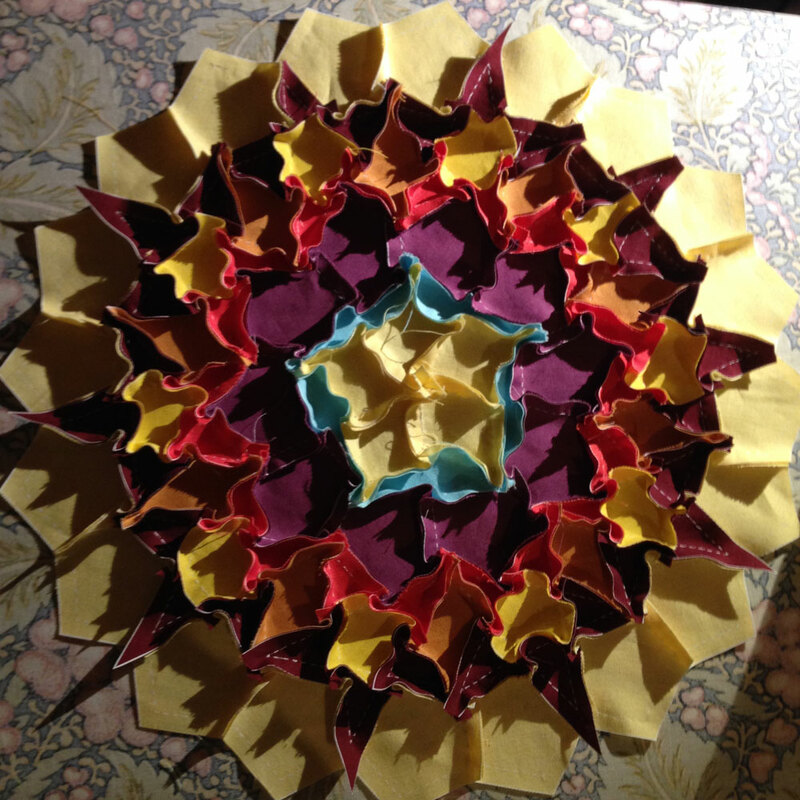 For her, it’s a way to show kindness to others – to share her love by creating something for others to use. 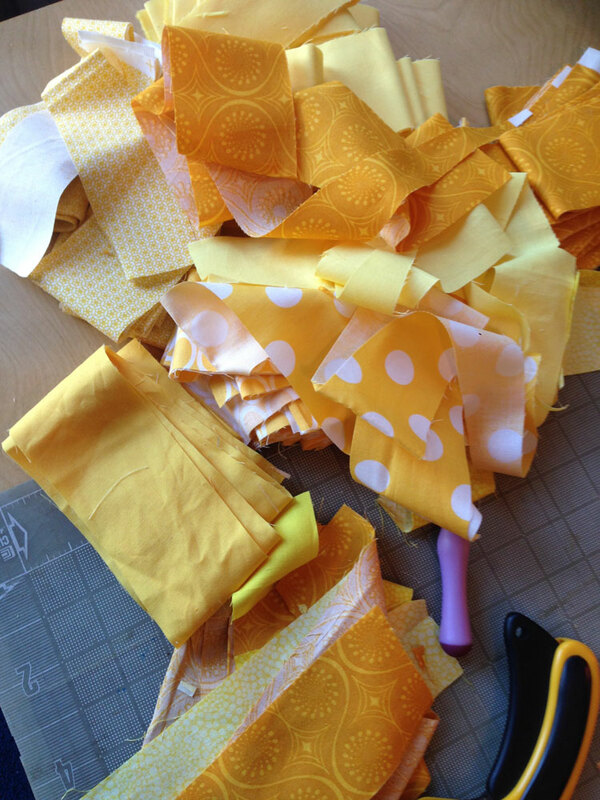 I think this is how many quilters feel. 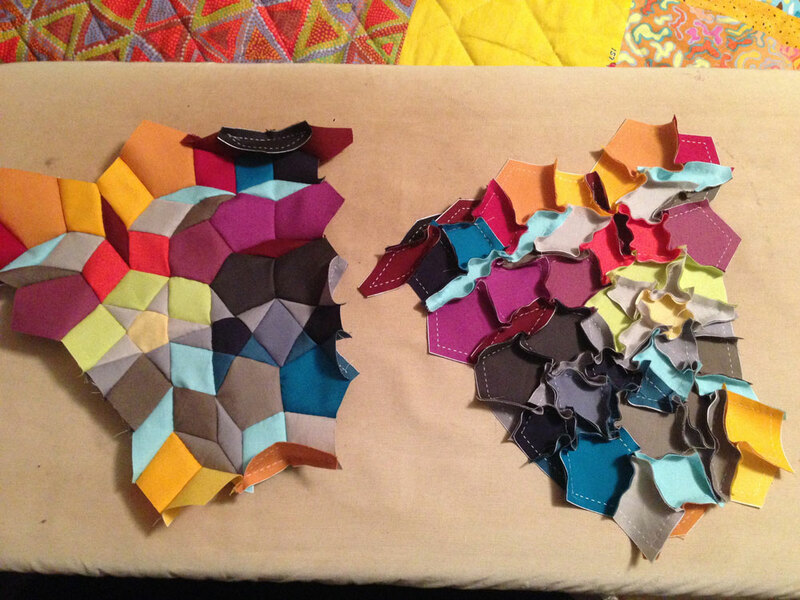 I thought about this question though, because I don’t give my quilts away very often. 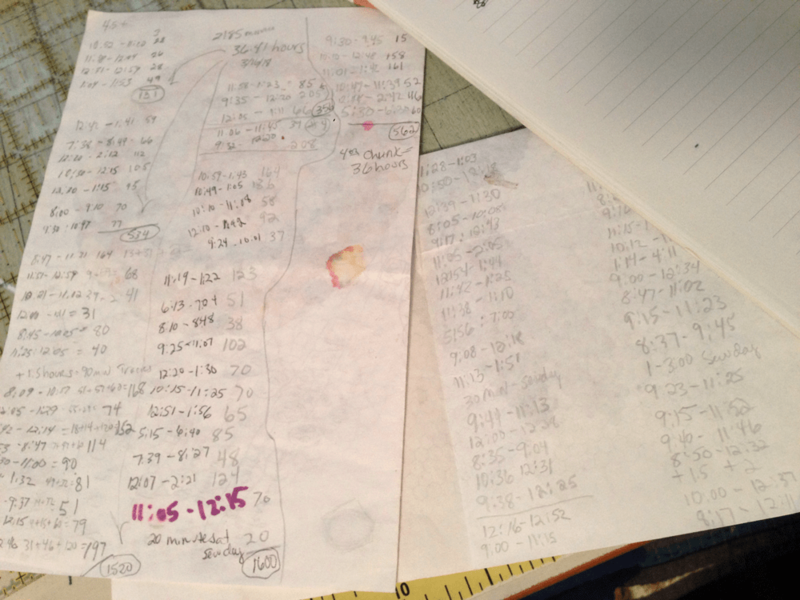 So… why do I quilt? 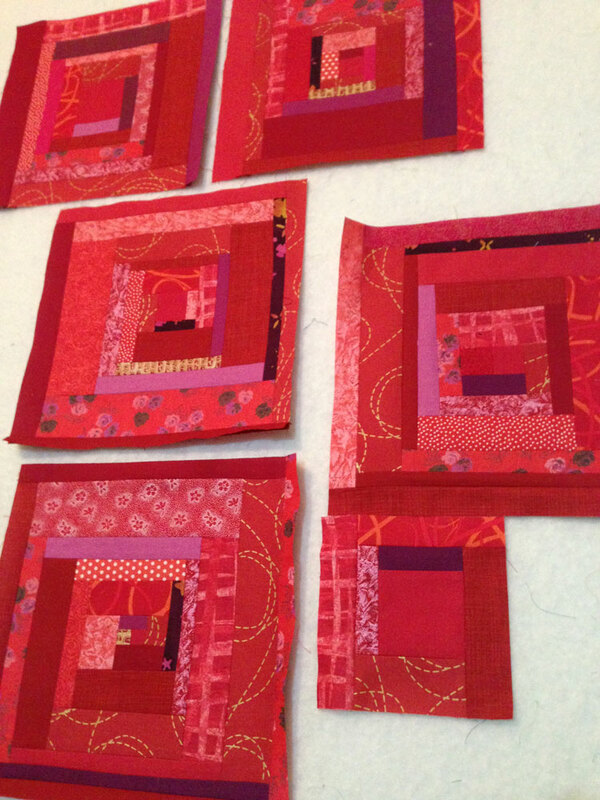 For me, quilting is meditative. I ponder over life decisions at the same time I’m picking fabrics, and each piece I choose is for a reason, and has a purpose. 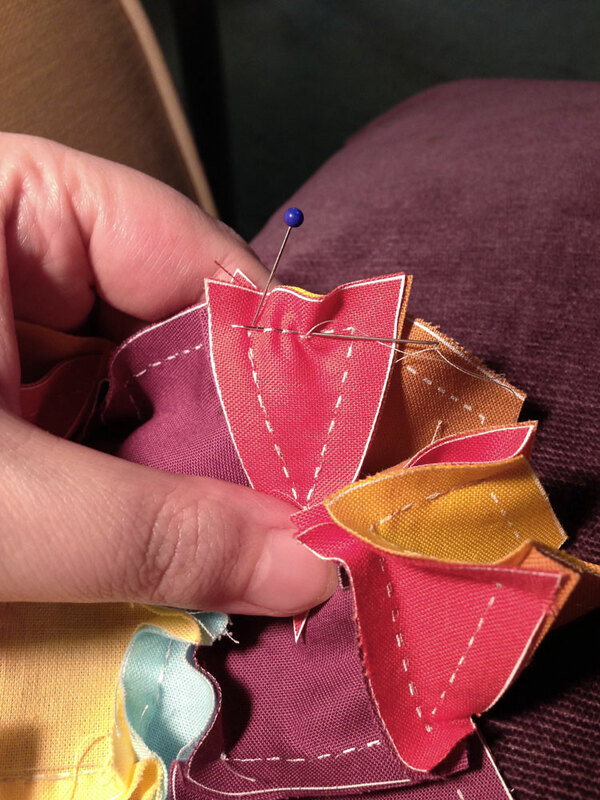 As I’m stitching, I’m healing. 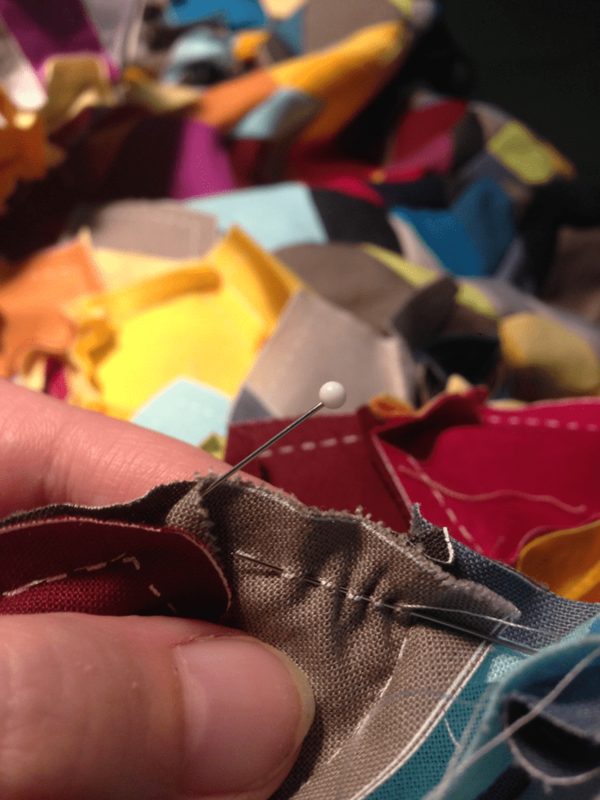 Sewing is such a positive action, you are creating something from nothing… and we have the ability to make any choice we want, which makes each quilt artistic, unique, and valuable in it’s own right. I’m not going to lie, it feels wonderful to make beautiful things! The feeling of accomplishment I get from finishing a project that I am proud of, is one of the best drug-free experiences I’ve had. 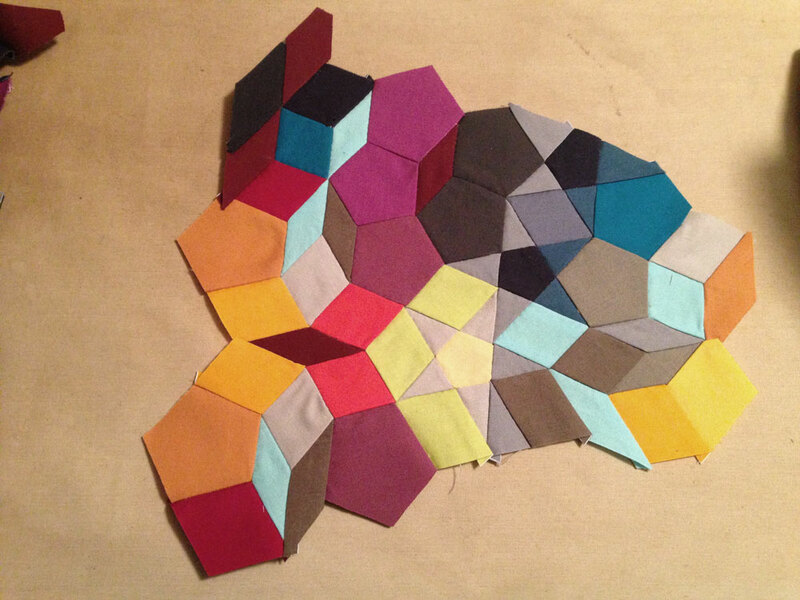 The quilt I’m currently working on is the Manipura Quilt. 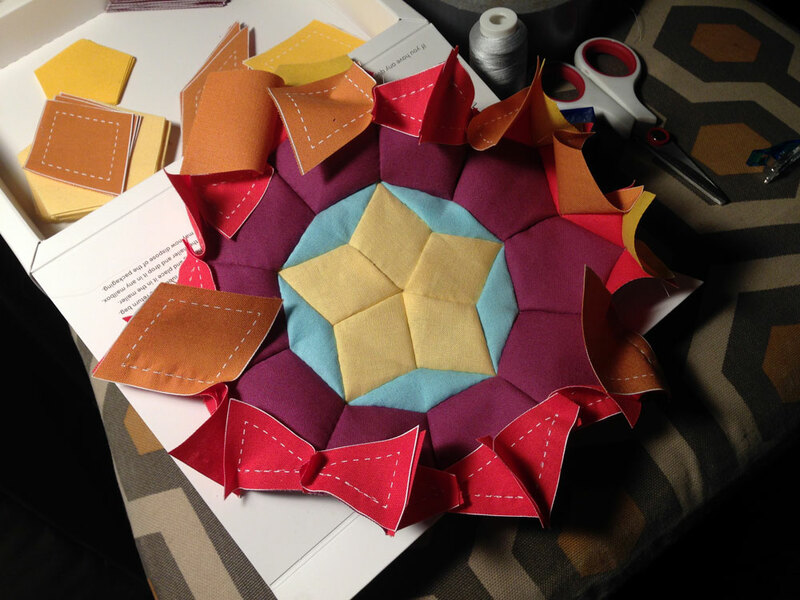 It is all about the third chakra and self-worth, so I am keeping track of all my time spent on making it. I have a stopwatch app and so my figures for value will be accurate when I’m finished. 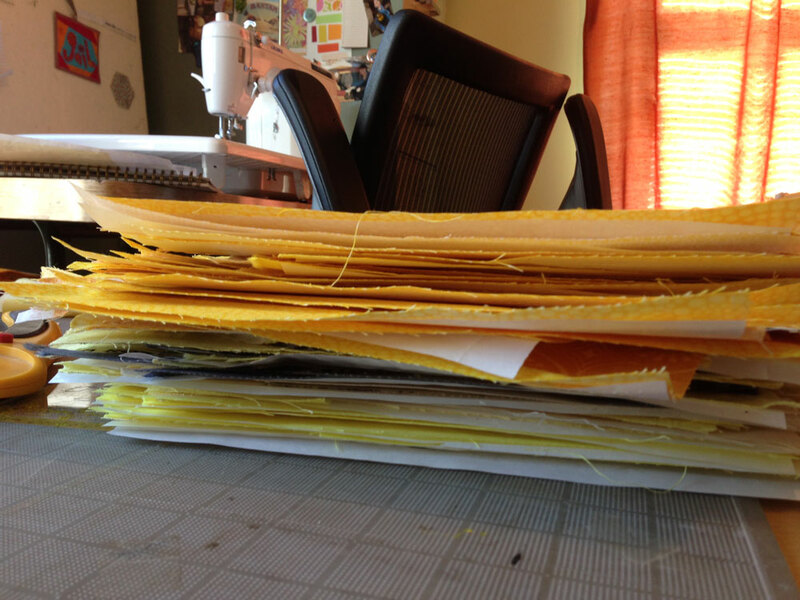 I feel I’m a slow stitcher on the machine, but to be precise, I need to take my time. 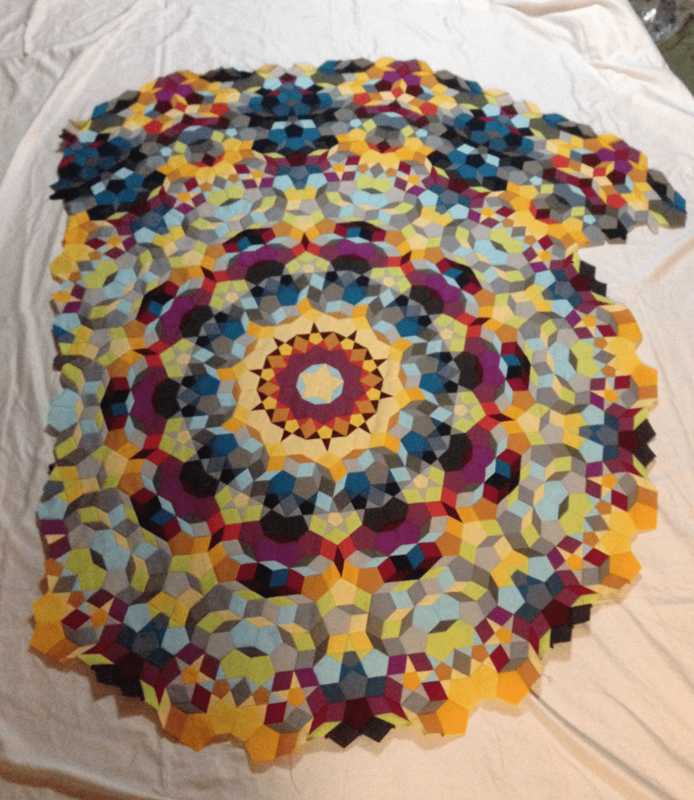 This quilt has (99) blocks that finish at 6.5″ x 9″. 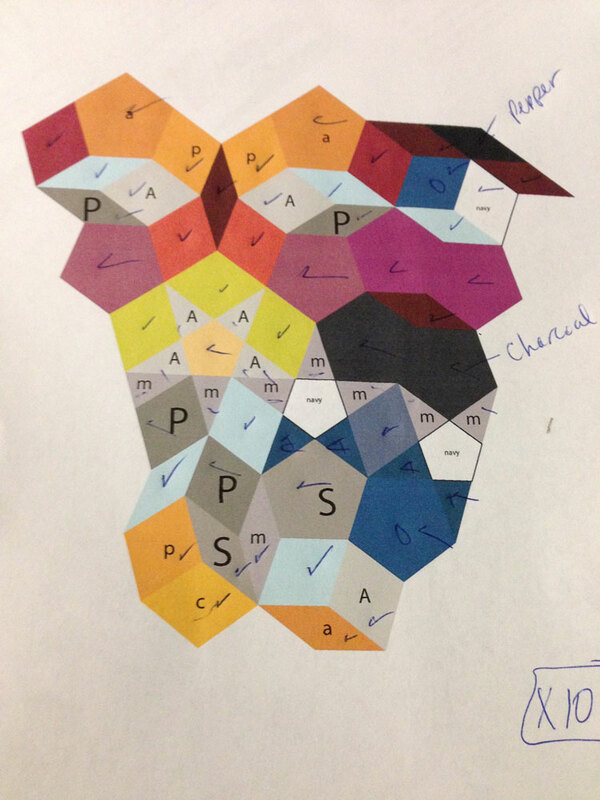 They are all paper pieced, and some have a few more elements than others. 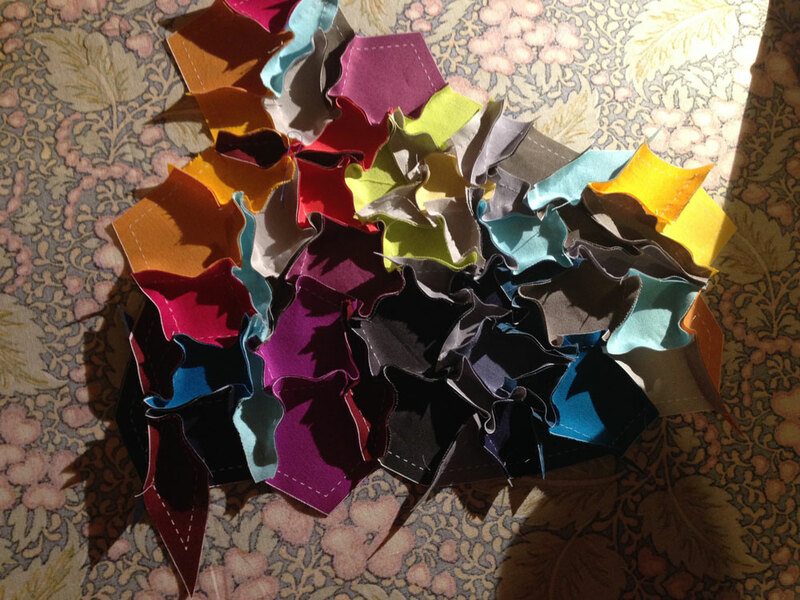 So far, I have 52 blocks completed – and I have spent over 32 hours just on sewing them together. 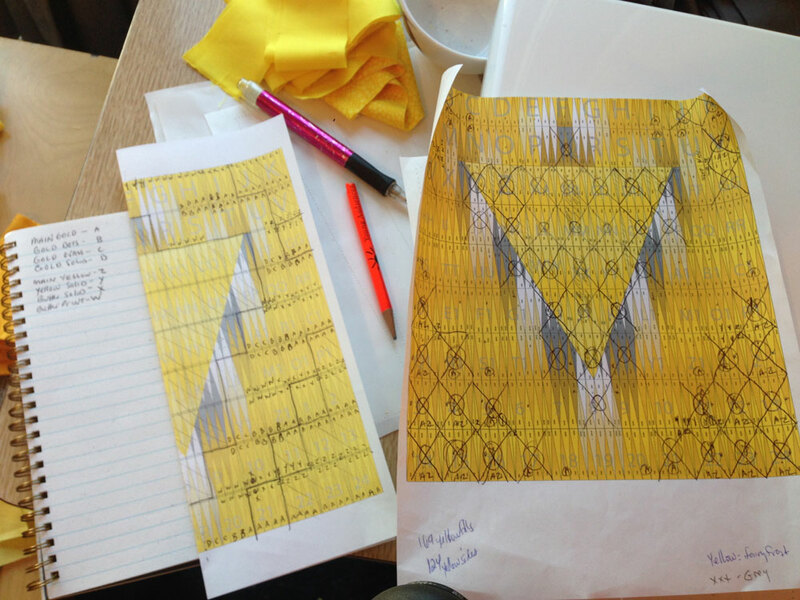 I spent another 12 hours creating the design, creating the patterns, picking fabrics and cutting strips. 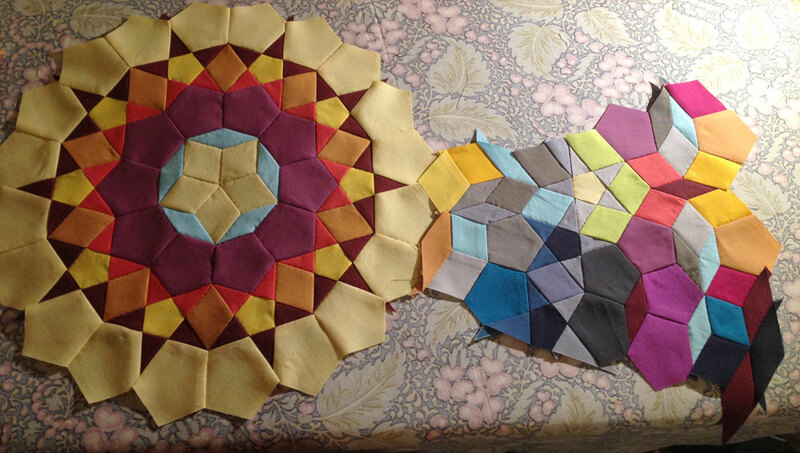 Basically, I’m making an unaffordable quilt. 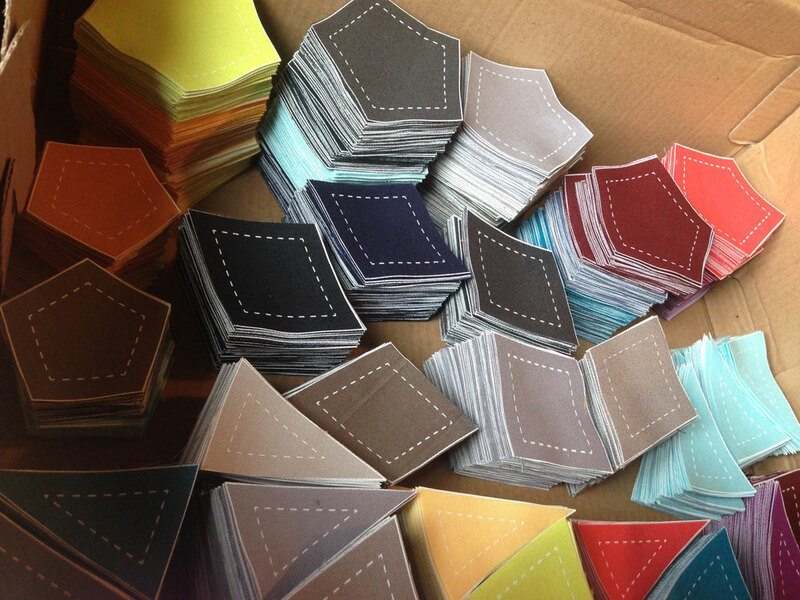 So… another reason I quilt is to share. 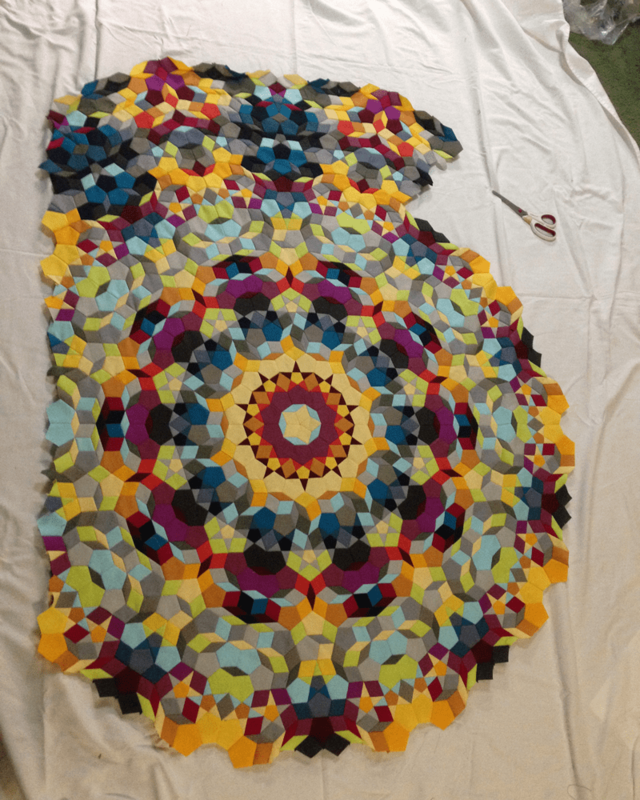 To share in the process of making, my reasons for certain choices, the emotions I have while making… and to eventually show quilts at quilt shows. I don’t care about winning any prizes (although I would not complain!) but I do care about having opportunities to share my work. 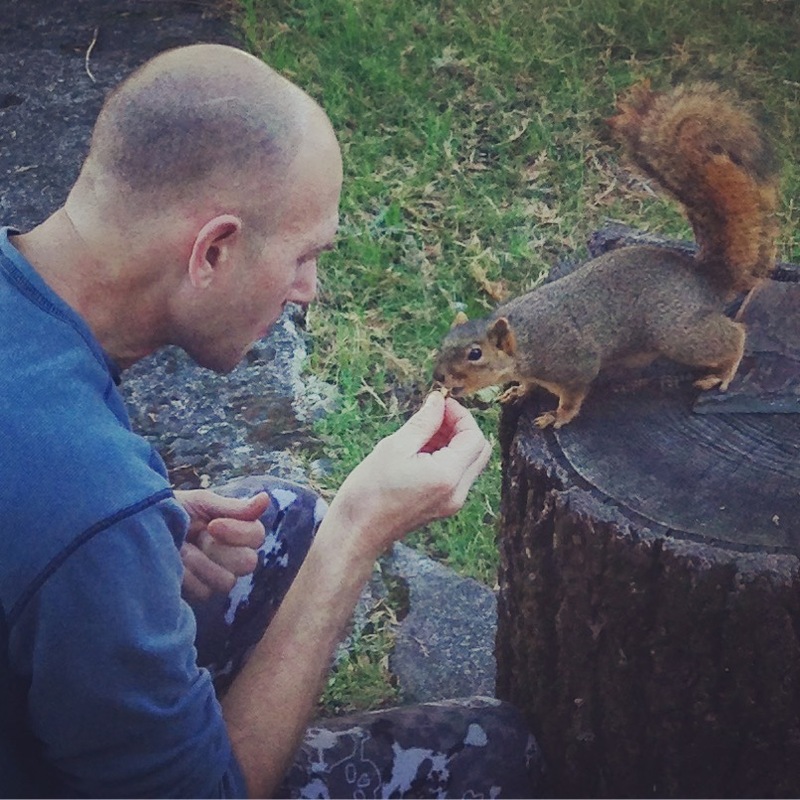 This blog is pretty small – so showing at shows is a great way to connect with others. 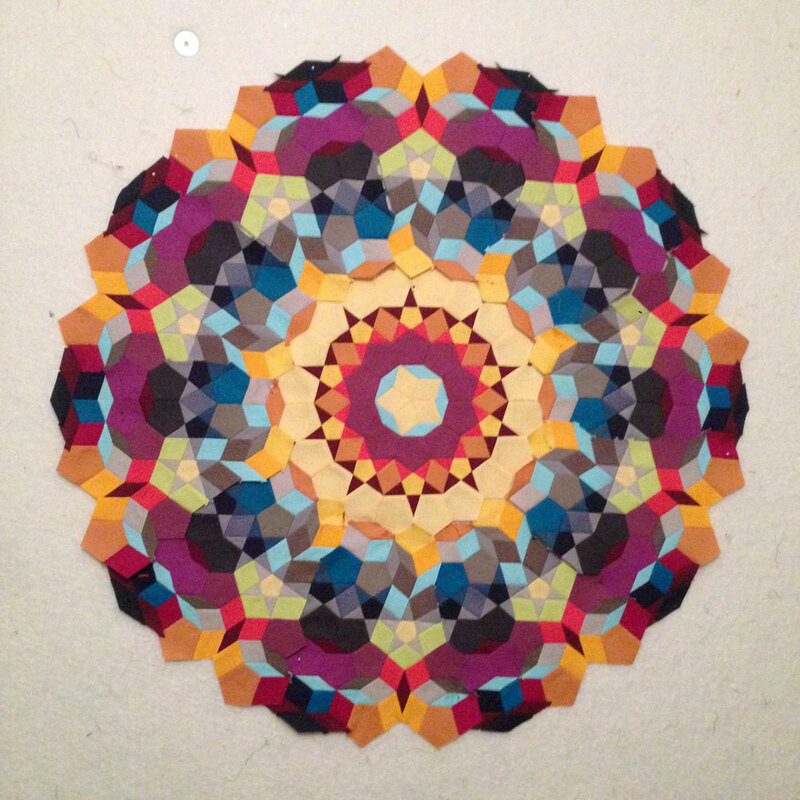 I’m going to be researching shows to enter other than QuiltCon for my quilts, since I don’t think my style fits their aesthetic – been rejected every year. 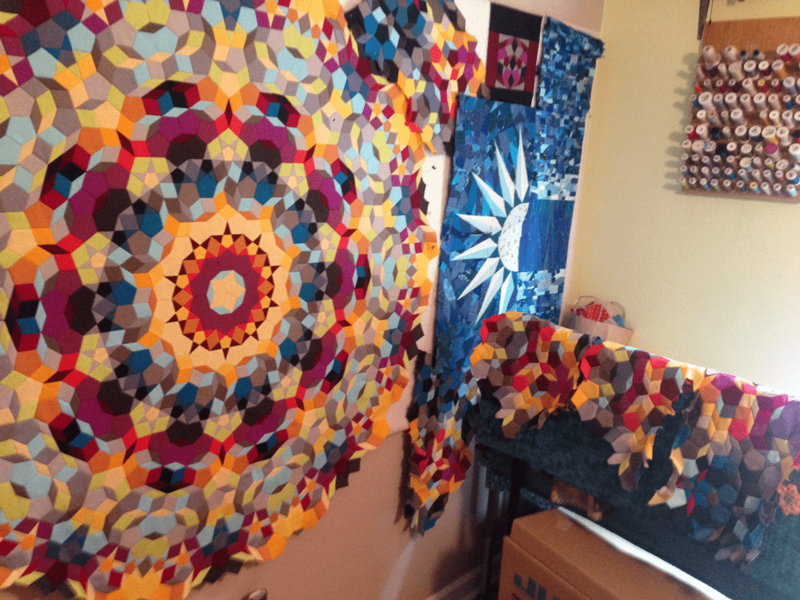 My quilts mean a lot to me because of how I piece them together and all the charged emotion that goes into them. When I see them, I feel things. 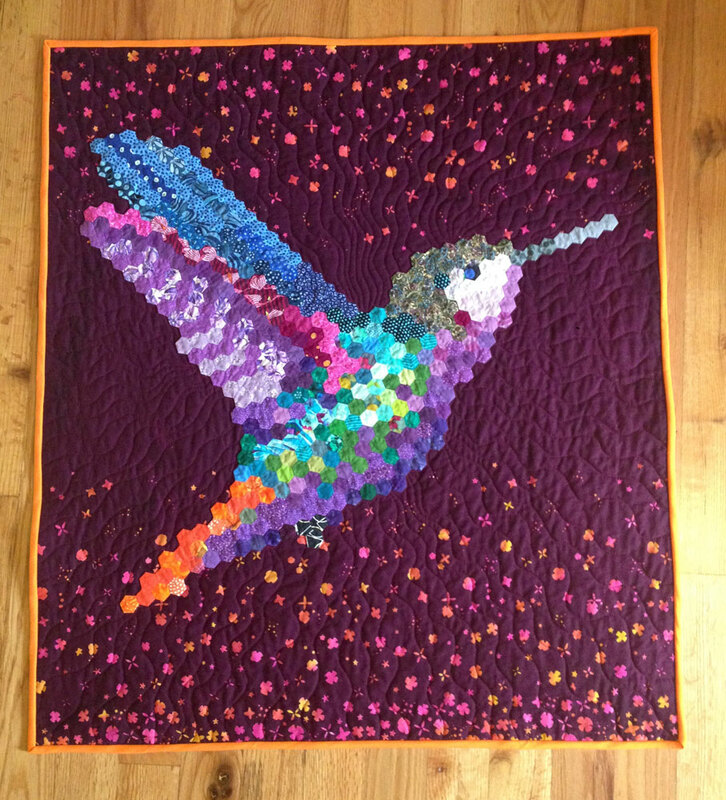 That’s how I hope others’ see my work too – however, I find that each quilt speaks differently to each person, and I don’t hold it personally if someone is indifferent to my work. 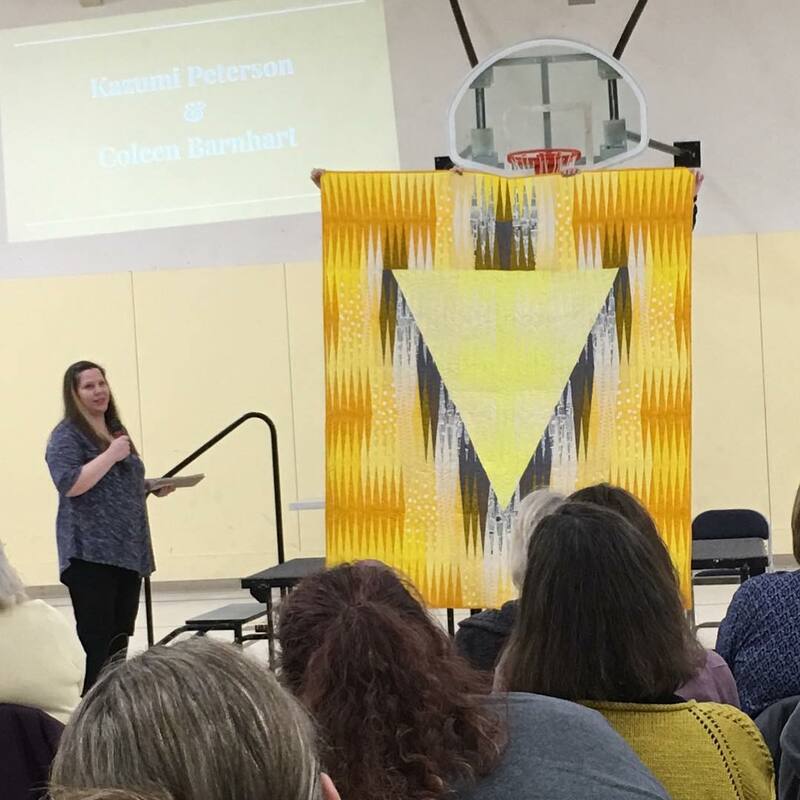 I just know that when I share my quilts, I’m sharing a part of me that I can’t articulate with words – and I love that voice! 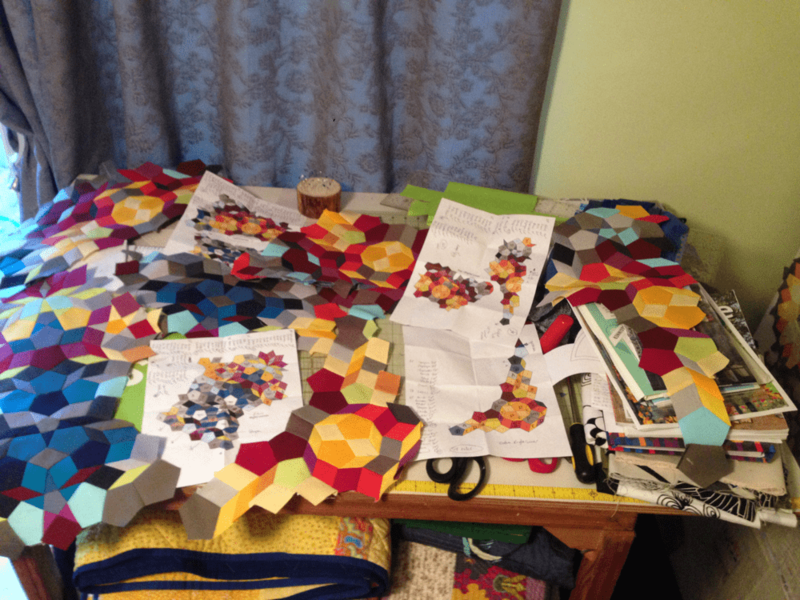 So… why do you quilt? 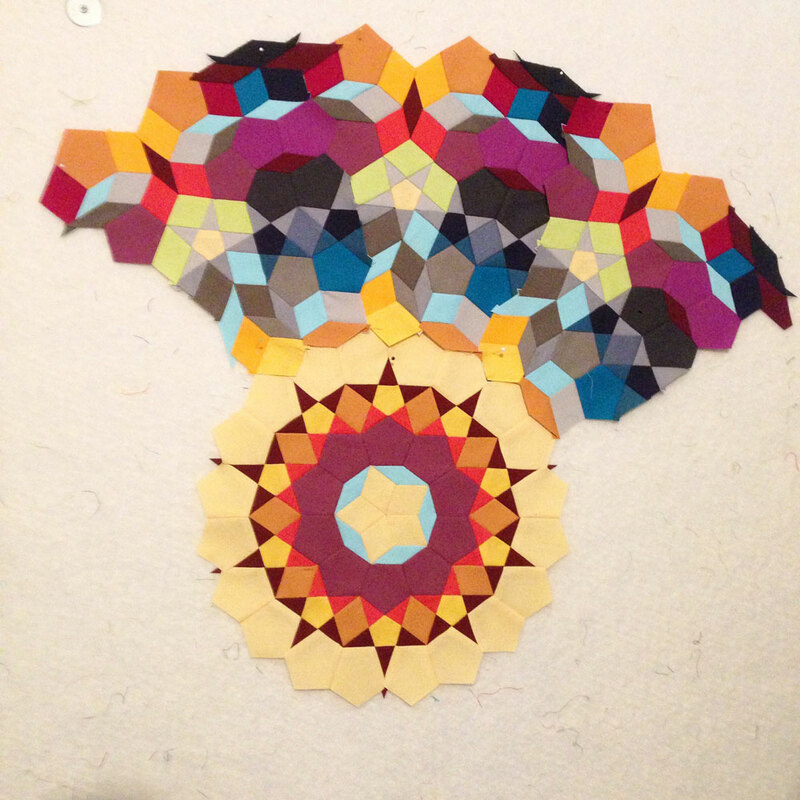 I’ve recently started work on a new project, and I’m using the root chakra for inspiration. 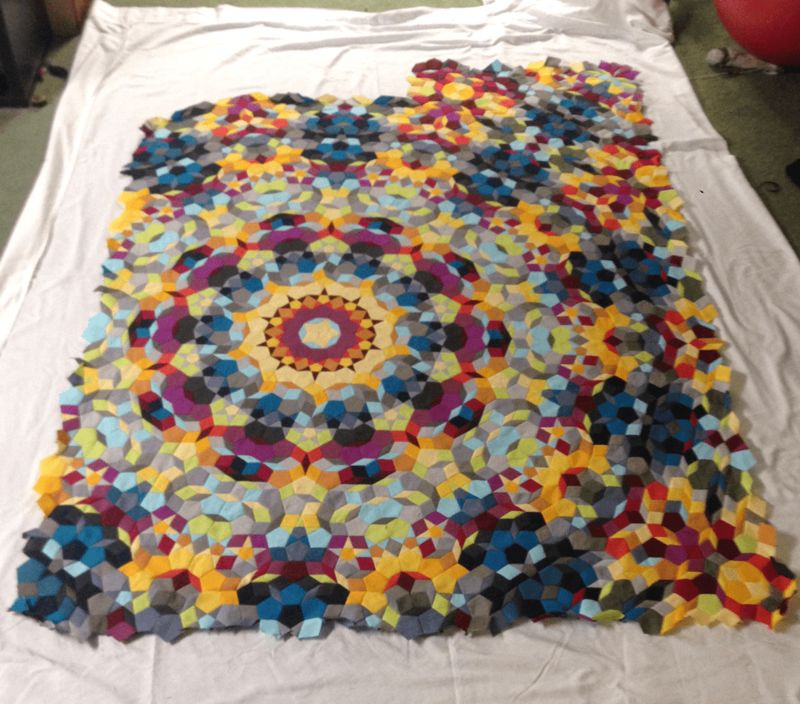 A while back, I took the ‘Process Pledge‘ on Rossie’s blog and so I wanted to write a little more on the process of this quilt. 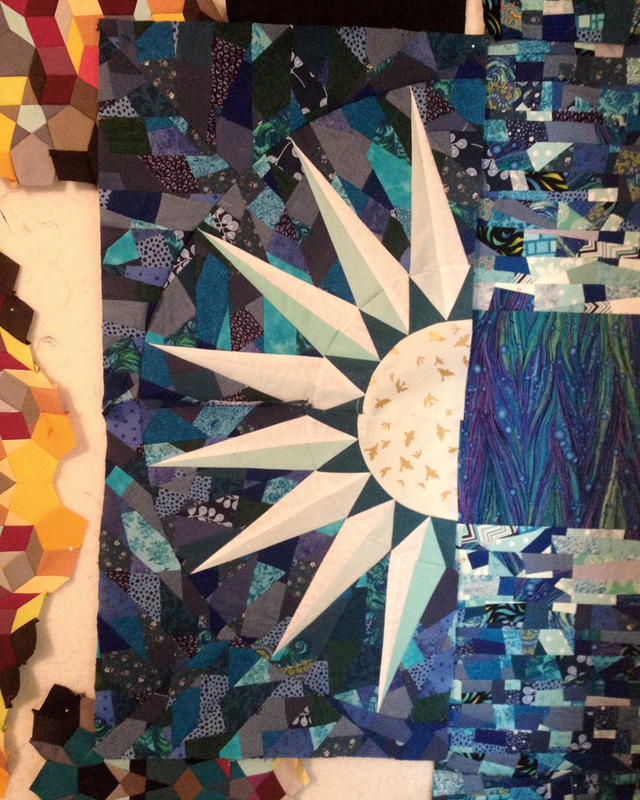 This quilt symbolizes a path to heath and healing to me. I’ve been having health issues – nothing new, or that dire… but I have a lot of old spinal injuries that have developed layers of scar tissue causing pain and other problems. On top of that, I found out I’m inuslin-resistant (body is making too much insulin, but the cells are not using it) and very close to being diabetic. I also have a fatty liver and need to lose weight. My ND says it’s related to low thyroid and an exhausted adrenal system. The reason my adrenals are exhausted is because of my earlier lifestyle and the things I’ve seen or lived through being homeless and an addict. Part of the reason I liked to get ‘messed up’ was because I felt the need to escape the overwhelming feeling of abandonment I had after being disowned both by family members, and my whole religious community. Even though the drama is all in the past, I’m still dealing with it’s consequences. Energetically speaking, my root chakra is blocked and needs to be opened. The Root Chakra influences your physical vitality, physical survival instincts, “fight or flight” response, and the emotions of anger, jealousy, desire and greed. The Root Chakra governs the lessons of surviving the material world. This Chakra holds information involving family loyalty, superstitions and beliefs, and your ability to stand up for yourself; your sense of safety, self esteem, and security are based here. The Root Chakra controls the energy of instincts, physical pain, pleasure, and touch. Imbalance may manifest as losing interest in survival in the “real world”, physical addictions and obsessions, selfishness, restlessness, volatile emotions and a lack of vitality. So… this is my focus: to create a strong foundation (root chakra) from which to stand up and grow upon. 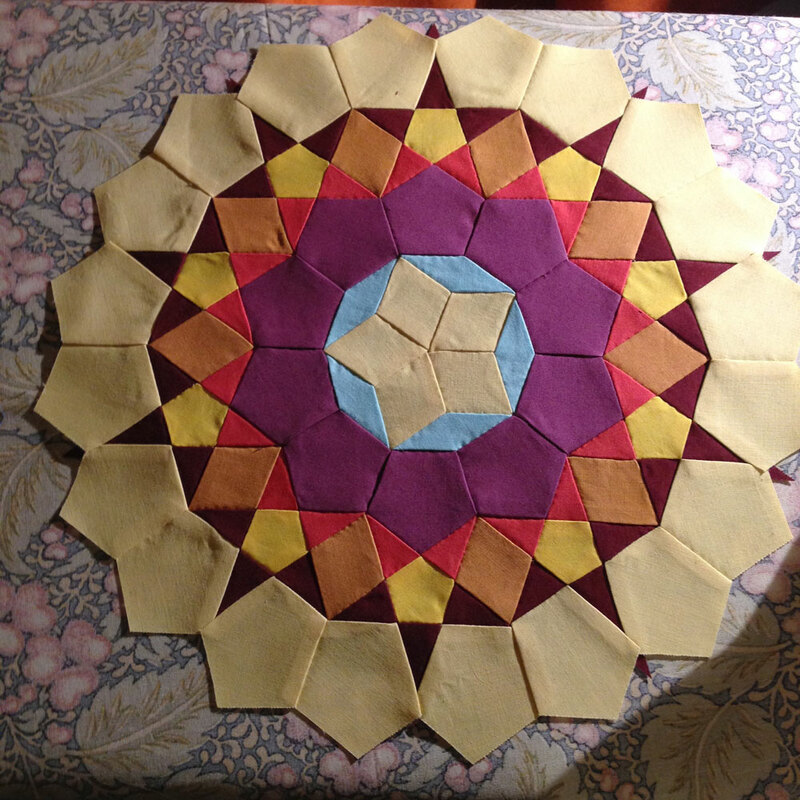 For the large center square, I was going to make one big log cabin block, but decided to make a few smaller ones and put them together to make one big center. This big red center square is supported by two layers – the bottom black/dark layer signifies my youth, strict confines, and empty hearts. 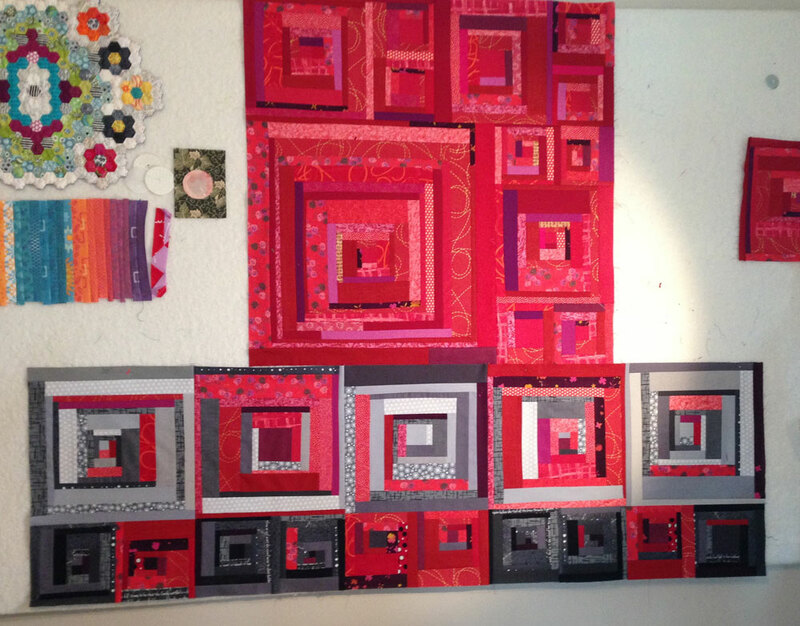 I chose the log cabin block because the centers are suppose to symbolize home and hearth – that’s why the centers are usually red. 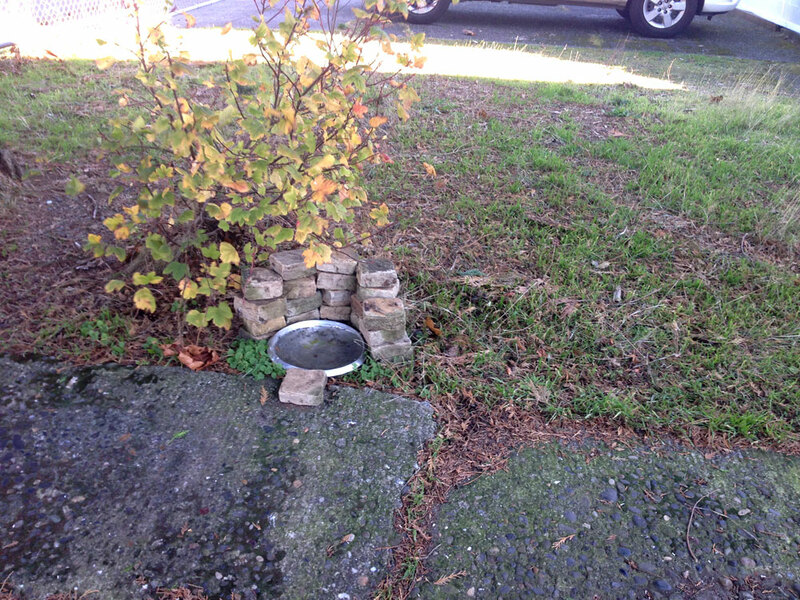 The second layer signifies my young adulthood where my boundaries were all over the place, we had no home… and everything seemed a little crazy. The big red square symbolizes the foundation I’m currently creating in my life now: not perfect, but solid. Next I’ll be making white log cabins for the background. I’m a little concerned that it might be getting too busy looking, but I’ll wait till I get the background blocks done before I start over-thinking things.